In the fall of 1991, a group of Teamster women from across the United States and Canada met in Boston to plan the International Teamster Women’s Caucus. They didn’t have all the answers about how to form a caucus of this type, and there certainly was a diversity of opinions. The one common link was a need for such a caucus to address Teamster women’s involvement and recognition at all levels of the organization. The union needed an advocacy group to educate and communicate with its women. Over the course of several meetings, the group established an executive board, bylaws and goals. In 1995, at the one and only convention of the ITWC, Cheryl Johnson from Local 20 was elected to the position of President to replace Mordasini, who was retiring. Johnson and the executive board met quarterly and collected funds from locals and Joint Councils. With their goals and ideals in place the group persisted under the direction of General President Jim Hoffa and was successful in organizing the annual Women’s Conference, which is an important function for all Teamster women. The Women’s Conference allows women the opportunity to network, learn, and get help with issues facing them today, not only in the workplace but in everyday life as well. We hope to grow and continue the great work of the past leadership of ITWC. To check us out, look for our booth at the annual Women’s Conference. The Hispanic Caucus serves the various communities in which the Corporation’s members live by assisting and promoting the interest of Hispanic Teamsters and the International Brotherhood of Teamsters and to promote those interests on the local, state, and national level. Said purposes shall be served by, including but not limited to the award of educational scholarships to deserving community youth; contributions to charitable organizations which serve the communities of the membership; conducting community improvements and community education programs; and promoting community service by making public awards of a non monetary nature in recognition of meritorious community service. Objetivos y propósito del Comité Hispano de los TeamstersServir a las diversas comunidades en donde viven los miembros de la empresa, ayudando y promoviendo los intereses de los Teamsters hispanos y de la International Brotherhood of Teamsters a nivel local, estatal y nacional. Estos propósitos se cumplirán mejor, incluyendo, aunque sin limitarse a ello, otorgando becas educacionales a jóvenes que las merezcan en las distintas comunidades; contribuyendo a organizaciones benéficas que sirvan a las comunidades de los miembros; haciendo mejoras y promoviendo programas educacionales en las comunidades, y promoviendo servicios comunitarios por medio de donaciones públicas no monetarias en reconocimiento de servicios meritorios prestados a la comunidad. The Teamsters National Black Caucus (TNBC) is an organization of black Teamster men and women, who are united by their special concerns for rights and conditions of workers. Working within the framework of the International Brotherhood of Teamsters Constitution, the TNBC seeks to address pressing issues confronting black workers ranging from increased participation to outreach to the African-American community and other communities of color. The TNBC is not a separate union. The TNBC, formed in 1971 its initial meeting was held in Miami, Florida at the 20th International Brotherhood of Teamsters Convention. At that convention a small select group of black delegates, guests and friends attending the convention, met to discuss the lack of black participation in the convention. One of the most discussed items was the deplorable lack of people of color employed by of the International Union. In September 1975, black representatives from the four (4) area conferences met in the city of Chicago to officially form the TNBC and get the recognition from the Teamsters General President and his Executive Board. TNBC has always excelled in working with political issues regarding the impact on black workers. TNBC will continue to reach out to unorganized workers throughout America, informing black workers of the advantages and benefits of the Teamsters Union. 1. Advancing understanding, compassion, equality, acceptance and respect within the Teamsters Union through education and awareness. 2. 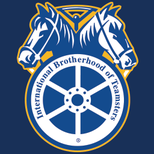 Bringing together members of the Caucus and other persons of good will for the purpose of promoting and participating in economic, cultural, civic, legislative, political, educational, fraternal, charitable, welfare, social, and other activities which further the interests of the International Brotherhood of Teamsters, the labor movement and working people in general. 3. Opposing discrimination and oppression in the workplace and in all aspects of society through education and advocacy. 4. Assisting other non-profit organizations having related purposes and objectives. 5. Participating in community service activities. 6. Engaging in political advocacy with the goal of creating equal opportunity for all citizens in the workplace and in the greater community.